In my family, brunch tends to be an under-appreciated meal. We throw foods together on a plate instead of planning the menu and savoring this relaxing meal. The combination of late breakfast and early lunch allows us to indulge in a heartier meal and linger over tea, coffee or mimosas. 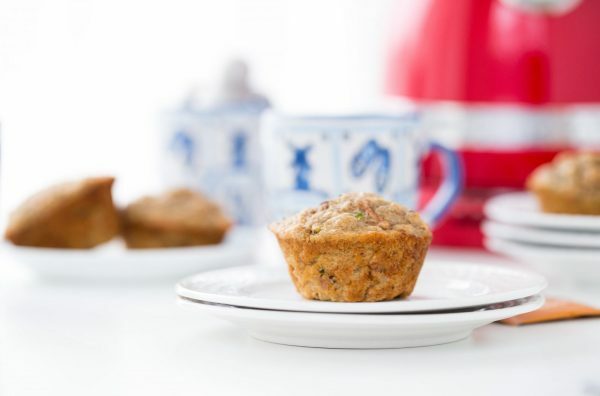 These zucchini carrot muffins will be the first of many brunch recipe ideas I will be bringing your way this year. 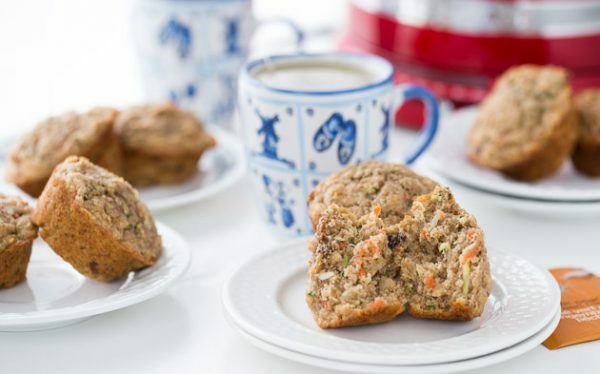 As we start the New Year, I love to share hearty, healthy recipes and these Zucchini Carrot Muffins are exactly that. Filled with spiralized zucchini and carrots, whole wheat flour and natural sweeteners, these muffins are perfect for a brunch date. To make the muffins, I started with spiralizing the zucchini and carrots with my KitchenAid® Spiralizer Attachment for the Stand Mixer. I love this attachment! 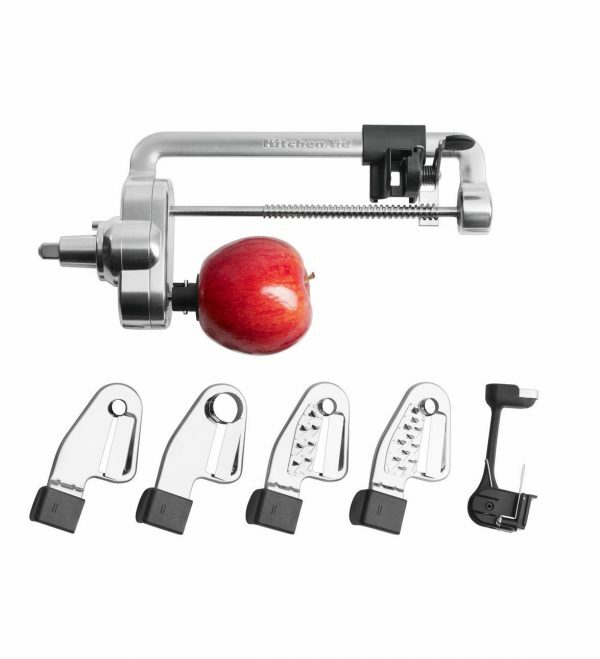 With its ability to slice, spiralize, core and peel, it makes eating fruits and vegetables easy and exciting. For these muffins, I used the biggest spiralizer blade to spiralize the zucchini and carrots. Then I roughly chopped them before tossing them into the batter. I baked these muffins in my KitchenAid® Nonstick 12-Cavity Muffin Pan, and for a simple presentation, I skipped the liners. 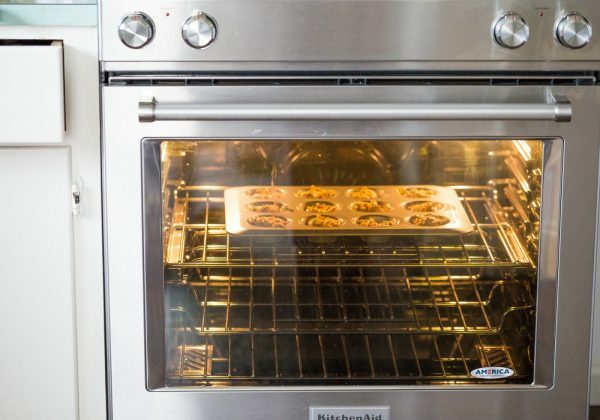 In just 18 minutes, these muffins baked up evenly thanks to the Even-Heat™ True Convection feature on my KitchenAid® 30″ Electric Convection Slide-In Range with Baking Drawer. I served these muffins at a brunch tea with some friends. They were perfect with a hot cup of tea. 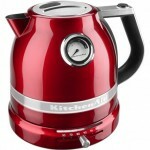 Setting the table with the KitchenAid® Pro Line® Series Electric Kettle (sleek and pretty enough to be on the table!) makes it easy to refill mugs and keep the conversation going without the interruption of trips to the kitchen. Why don’t we start the year of brunch recipes with some healthy breakfast muffins over tea? 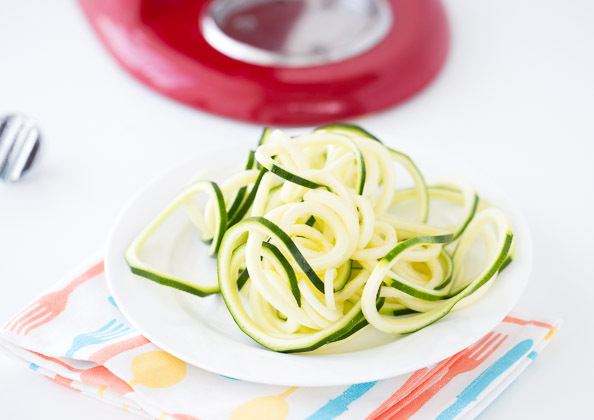 What spiralized vegetable would you use in your breakfast muffin? Apples? Maybe sweet potatoes? Share your take on these healthy breakfast muffins with us on Instagram using #MadewithKitchenAid for a chance to be featured. 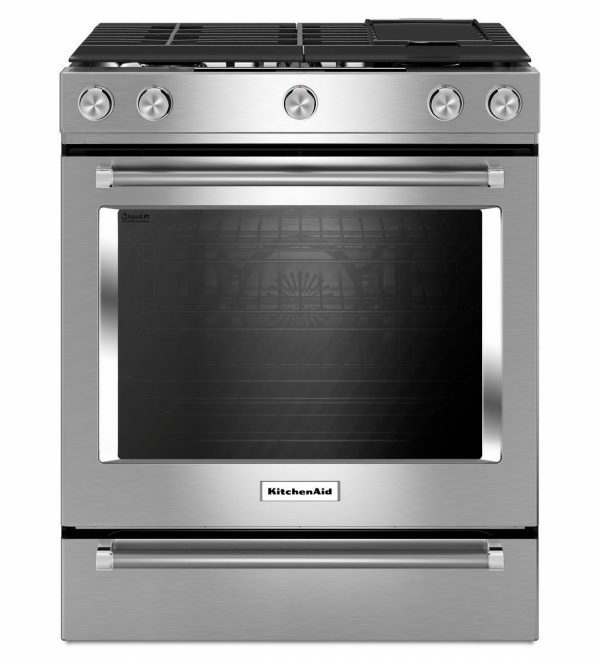 Heat your KitchenAid® 30″ Electric Convection Slide-In Range with Baking Drawer to 375 degrees F. Grease a KitchenAid® Nonstick 12-Cavity Muffin Pan and set aside. 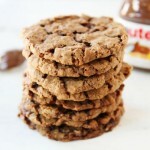 In a medium bowl, whisk together the flour, baking powder, baking soda, cinnamon and salt. In a large bowl, whisk together the mashed bananas, honey, coconut oil and vanilla extract. Add in the yogurt and applesauce. Whisk in the zucchini and carrots, along with the coconut flakes and hazelnuts. Add in the dry ingredients and mix until just combined. The batter will be thick. Divide batter evenly into the prepared cups. Bake muffins until golden brown and a tester inserted into the center comes out clean, about 18-20 minutes. Remove muffins from pan and let cool completely on cooling rack. 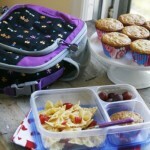 Store leftovers in an airtight container for up to a week at room temperature. 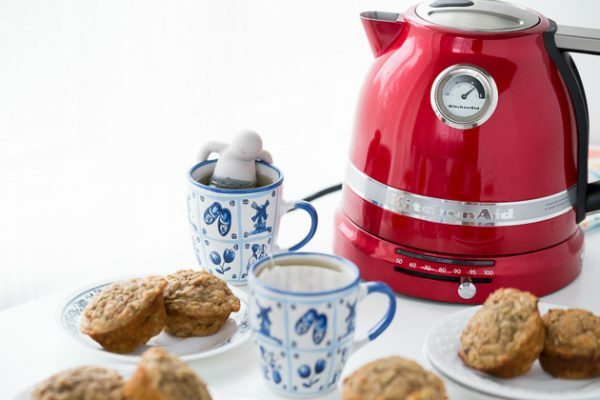 Baking is just the beginning, with 10 speeds and more than 12 available attachments to help you whip up everything from pasta to ice cream, sausage to salsa and so much more. 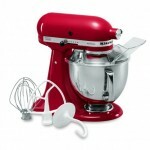 And, the special tilt-head design allows for easy access to the beater and bowl. 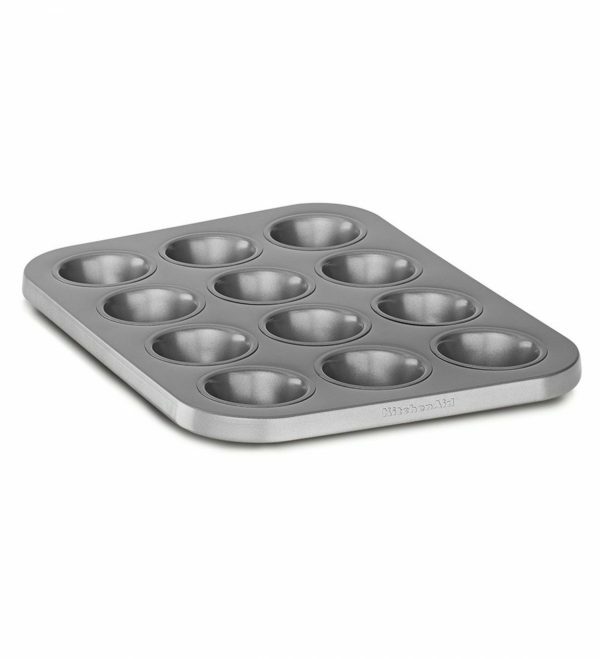 Bake 12 muffins, cupcakes, or quiche with this 12-cavity pan. 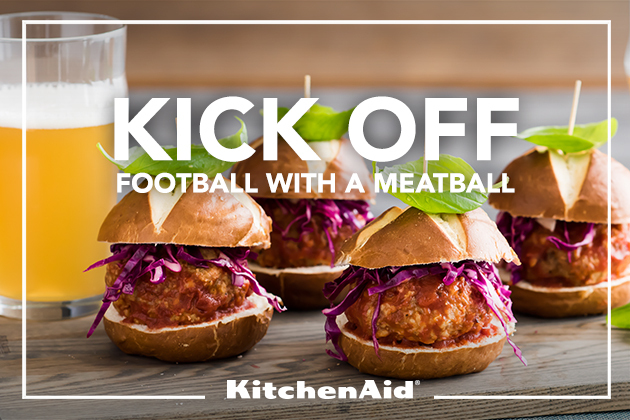 Perfect for party appetizers. 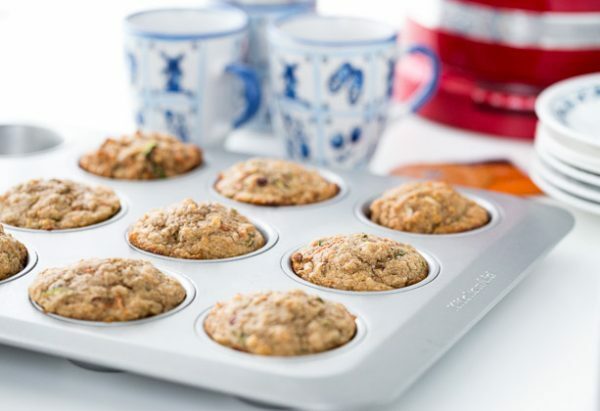 The nonstick coating releases baked goods without effort and ensures easy cleaning. 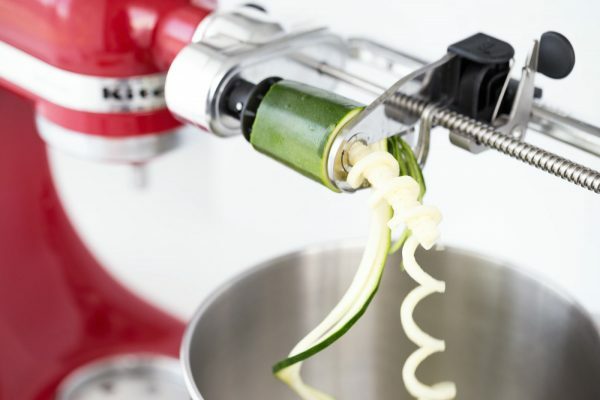 Reinvent classic meals and inspire your culinary creativity with the versatile KitchenAid® Spiralizer with Peel, Core and Slice Stand Mixer Attachment. 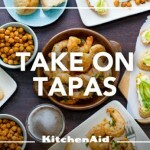 Make fresh fruit and vegetable recipe options, from zucchini noodles to sweet and savory dishes. Learn more.